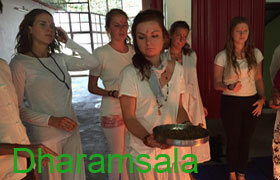 First, the yoga training course is conducted in English. It is fully benefiting for people. You need to have good command of language. Second, physical fitness is important to appear in this yoga training course. Yoga teacher training in Rishikesh is very demanding series at least 6 until 8 hours of yoga practice. We advise to practice yoga 90 minutes daily for 3 months. Third, you need to spend medical history and yoga discuss with us about fitness for a yoga training course if you are going through psychiatric and psychological treatment. Fourth, we inform about your pregnancy and provide medical certificate authorization. We open an orientation meeting in 1st day of yoga training at 02.00 P.M. All students should know where the classes are and familiar with all yoga course facilities and allow students to meet their teachers. 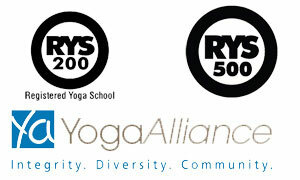 All students attend at yoga orientation days. Our regular and punctual attendance should receive final certification. You will get 100% attendance includes orientation of the meeting or any disqualified from receiving credential. If you absence required for illness, you need to be detail to the yoga course director. We build strong trust in every mission and policy. We keep registration fee and it is the cheapest rate in the market. Second, yoga teacher training with yogafaculty team will respond you immediately within next 24 hours. Third, if you are eligible that submission of application form is not a confirmation note for your participation. After deposition payment of registration fee @250/- US Dollars, you will be eligible for enrollment. Place is eligible on first paid served.